"5 Ways To Get Into REO & Make Your Real Estate Business Recession Proof"
BONUS: Register For This FREE Webinar and Instantly Recieve Your Free Copy of Ben Barbers New Book "THE REO ENTREPRENUER: How To Earn Income and Recession Proof Your Business With Bank Owned Properties"
PLUS... Q&A and Much More! WARNING: Space is limited and these trainings always fill up because they are significantly better than the information others charge you thousands for... even though they are free. 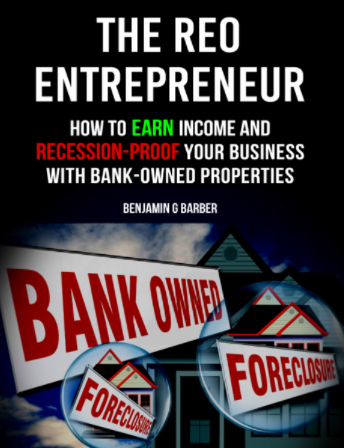 "THE REO ENTREPRENEUR How To Earn Income and Recession Proof Your Business With Bank Owned Properties"